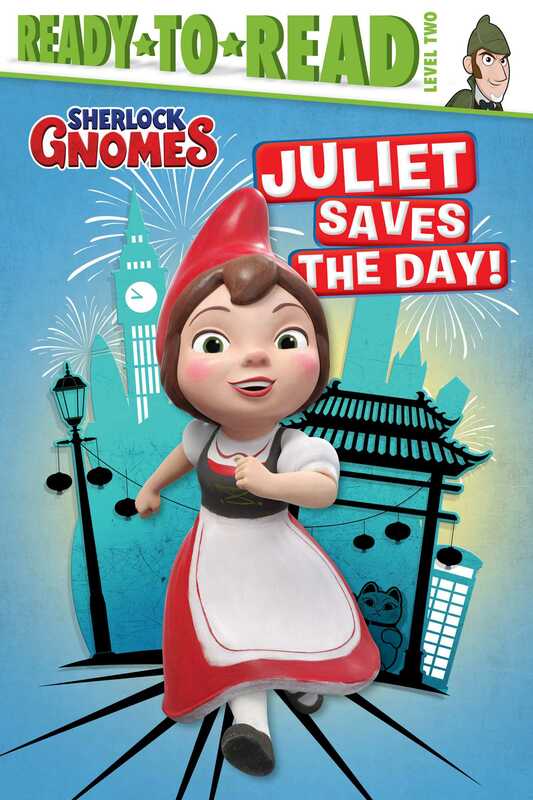 Garden gnomes Gnomeo & Juliet work with renowned detective Sherlock Gnomes to investigate the mysterious disappearance of other garden ornaments in this Level 2 Ready-to-Read that’s based on the upcoming film, Sherlock Gnomes! Sherlock Gnomes is looking for someone to help him solve the missing gnome mystery. It’s Juliet to the rescue! At first, Sherlock is reluctant to work with her, but he soon discovers Juliet is a force to be reckoned with! Kids are sure to love this hilarious story where Sherlock’s sarcasm and huge ego put everybody off, and it’s up to sweet, smart Juliet to save the day! Book Cover Image (jpg): Juliet Saves the Day!